N 42° 33' 52" and E 1° 31' 39"
Sornàs in Ordino is a city located in Andorra a little north of Andorra la Vella, the country's capital town. Current time in Sornàs is now 01:26 AM (Tuesday). The local timezone is named Europe / Andorra with an UTC offset of 2 hours. We know of 10 airports closer to Sornàs, of which 4 are larger airports. The closest is airport we know is Aeròdrom dels Pirineus-Alt Urgell Airport in Spain in a distance of 17 mi (or 27 km). Besides the airports, there are other travel options available (check left side). There are several Unesco world heritage sites nearby. The closest heritage site in Andorra is Madriu-Perafita-Claror Valley in a distance of 6 mi (or 10 km), South-East. In need of a room? We compiled a list of available hotels close to the map centre further down the page. Since you are here already, you might want to pay a visit to some of the following locations: Ordino, la Massana, Andorra la Vella, les Escaldes and Encamp. To further explore this place, just scroll down and browse the available info. Let's start with some photos from the area. Heavy snow, light breeze, overcast clouds. chica de compras en andorra, que pasó en el hotel coma http://www.hotelcoma.com. 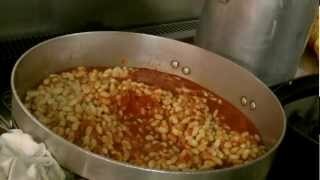 Réalisation d'un cassoulet en direct - Un Belge au fourneau et ses commentaires - Résidence d'Artistes à Ordino - Andorre. La Massana is one of the seven parishes of the Principality of Andorra. 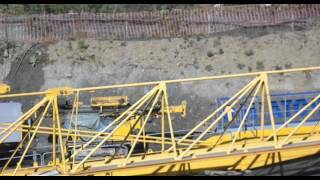 It is located in the northwest of the country. . La Massana is also the name of the main town of the parish. The name Massana derives from the Latin name mattianam for a variety of apple. The parish is extremely mountainous and contains the highest mountain in Andorra, Coma Pedrosa . Its western side limits with Tor, Pallars municipal term, in the border with Spain. Located at 42.567, 1.483 (Lat. / Lng. ), about 2 miles away. Located at 42.5667, 1.48333 (Lat. / Lng. ), about 2 miles away. 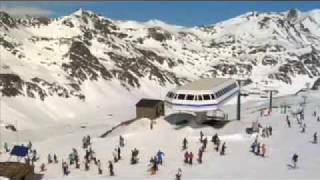 Vallnord is a ski/snowboard resort in the Pyrenees mountains in the country of Andorra, close to the border with Spain at Tor, Pallars. It encompasses the linked sectors of Pal and Arinsal (the sectors were linked by a cable car, opened in 2005, from the top of the Arinsal sector) and the Ordino-Arcalis sector some kilometres away. All the separate sectors within Vallnord contain green, blue, red and black rated runs as well as restaurants and ski schools. Located at 42.5428, 1.49242 (Lat. / Lng. ), about 2 miles away. Xixerella is a small village in La Massana parish of the principality of Andorra. Located at 42.55, 1.48333 (Lat. / Lng. ), about 2 miles away. Ansalonga is a village in Andorra, located in the parish of Ordino in the north of the country. Located at 42.5684, 1.52289 (Lat. / Lng. ), about 0 miles away. Arans is a village in Andorra, located in the parish of Ordino in the north of the country. Located at 42.5833, 1.51667 (Lat. / Lng. ), about 1 miles away. L'Armiana is a village in Andorra, located in the parish of Canillo. Located at 42.5333, 1.56667 (Lat. / Lng. ), about 3 miles away. El Forn is a village in Andorra, Europe, located in the parish of Canillo. Vila is a village in Andorra, located in the parish of Encamp. Sornàs is a village in Andorra, located in the parish of Ordino. Located at 42.5667, 1.53333 (Lat. / Lng. ), about 0 miles away. Llorts is a village in Andorra, located in the parish of Ordino. Andorra's Iron Route runs between Llorts and La Cortinada, following the sites of Andorra's historic mining and iron working industries that were active in the 17th–19th centuries. On the edge of the village is a 19th-century iron mine, La Mina de Llorts, which is open as a tourist attraction. Located at 42.6, 1.53333 (Lat. / Lng. ), about 2 miles away. La Cortinada is a village in Andorra, located between the villages of Arans and Ansalonga in the parish of Ordino. In the centre of the village is a 12th-century Romanesque church Sant Martí de la Cortinada; the 17th and 18th century extensions include wrought iron railings made from iron that was forged in Andorra. Located at 42.5667, 1.51667 (Lat. / Lng. ), about 1 miles away. 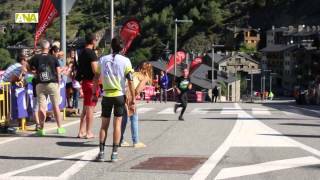 Segudet is a village in Andorra, located in the parish of Ordino. Located at 42.55, 1.53333 (Lat. / Lng. ), about 1 miles away. 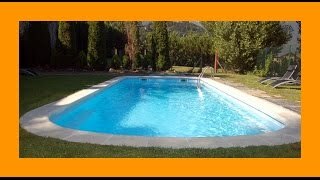 Pal is a village in Andorra, located in the parish of La Massana 4 km west of the town of La Massana, close to the border with Spain at Tor, Pallars. 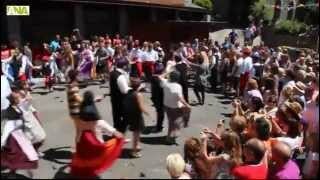 Pal is a population center of the Principality of Andorra is located in the parish of La Massana. In 2009 it had 229 inhabitants. Situated in the shady area by the river at 1,551 m altitude Pal. The village church is dedicated to St. Clement, in Romanesque style (s XI) with a rectangular bell tower with mullioned windows decorated. Anyós is a village in Andorra, located in the parish of La Massana and 1 km from the town of La Massana. Located at 42.5346, 1.54165 (Lat. / Lng. ), about 2 miles away. Erts is a village in Andorra, located in the parish of La Massana. Located at 42.5636, 1.495 (Lat. / Lng. ), about 2 miles away. Sispony is a village in Andorra, located in the parish of La Massana. Located at 42.5333, 1.51667 (Lat. / Lng. ), about 2 miles away. Escàs is a village in Andorra, located in the parish of La Massana. The construction company, Construccions Buiques, has its head office in Escàs, and sponsors a football team Construccions Buiques Rànger's, also known informally as FC Rànger's, that plays in Andorra's national First Division football league. Located at 42.55, 1.51667 (Lat. / Lng. ), about 1 miles away. L'Aldosa de la Massana, known simply as L'Aldosa, is a village in Andorra, located in the parish of La Massana. Located at 42.5441, 1.5221 (Lat. / Lng. ), about 1 miles away. Els Vilars d'Engordany, or simply Els Vilars, is a village in Andorra, located in the parish of Escaldes-Engordany. It is part of the contiguous urban area of Escaldes-Engordany and Andorra La Vella, and has panoramic views over the capital and the Gran Valira river valley. Located at 42.5167, 1.55 (Lat. / Lng. ), about 4 miles away. 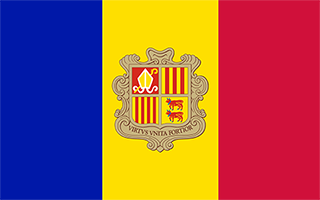 Engordany is an urban area in Andorra, located in the parish of Escaldes-Engordany. It is contiguous with Les Escaldes and Andorra la Vella. Casa d'Areny-Plandolit is a historical mansion located in Ordino, Andorra. It is a heritage property registered in the Cultural Heritage of Andorra. It was built in 1633. Located at 42.5567, 1.53389 (Lat. / Lng. ), about 1 miles away. Església de Sant Cristòfol d'Anyós is a church located in Anyós, La Massana Parish, Andorra. It is a heritage property registered in the Cultural Heritage of Andorra. It was built in the 12th century. Located at 42.535, 1.52444 (Lat. / Lng. ), about 2 miles away. Església de Sant Martí de la Cortinada is a church located in Ordino, Andorra. 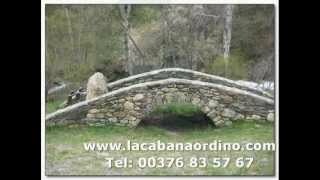 It is a heritage property registered in the Cultural Heritage of Andorra. It was built originally in the 11th-12th century and rebuilt in the 17th century. Located at 42.5767, 1.51778 (Lat. / Lng. ), about 1 miles away. Església de Sant Romà dels Vilars is a church located in Els Vilars, Escaldes-Engordany Parish, Andorra. 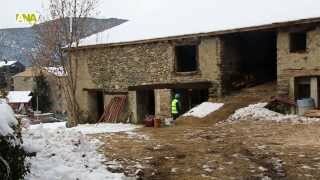 It is a heritage property registered in the Cultural Heritage of Andorra. It was built in the 10th century. Located at 42.5147, 1.53472 (Lat. / Lng. ), about 3 miles away. These are some bigger and more relevant cities in the wider vivinity of Sornàs. These are the most popular locations in Andorra on Tripmondo.